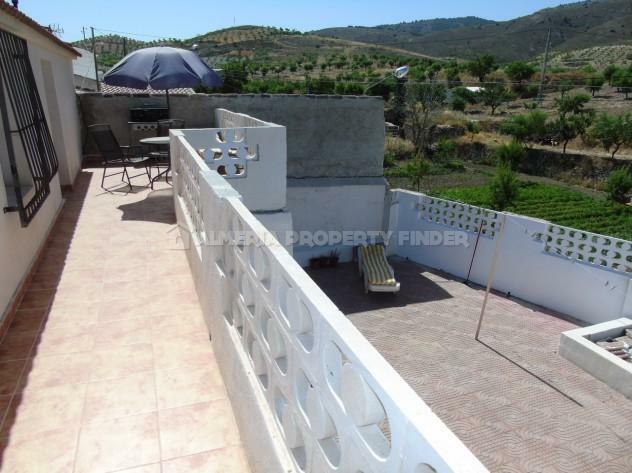 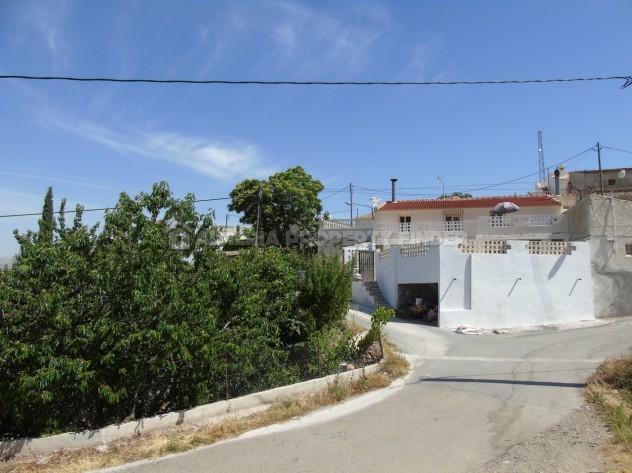 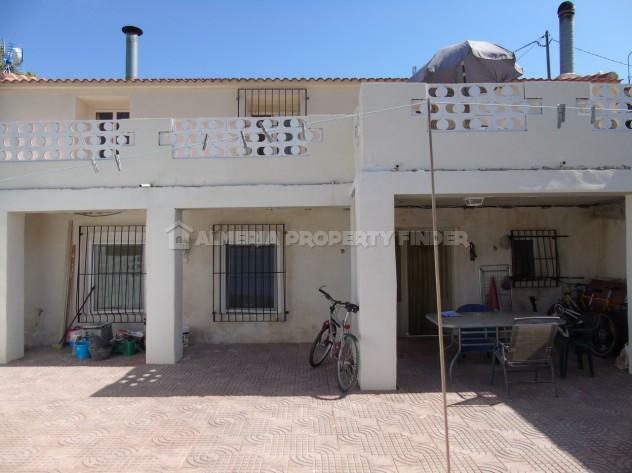 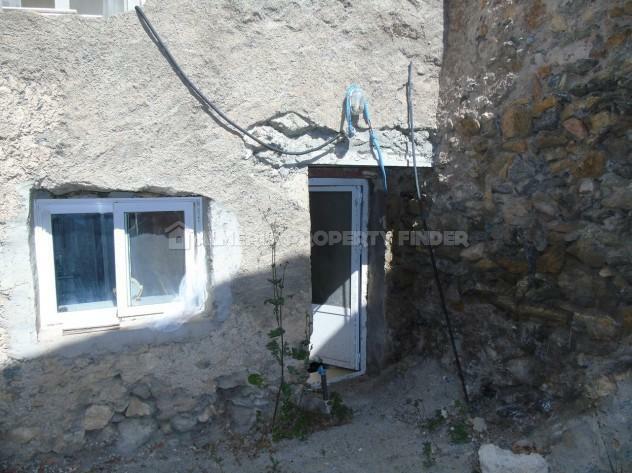 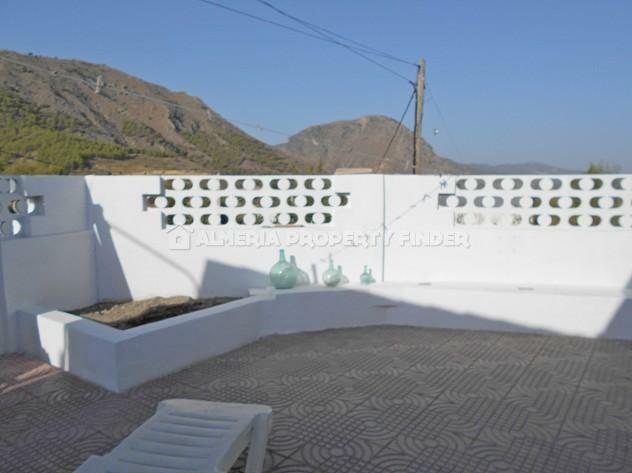 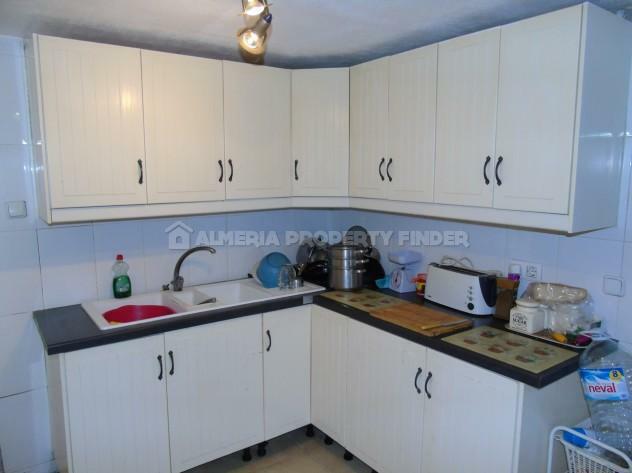 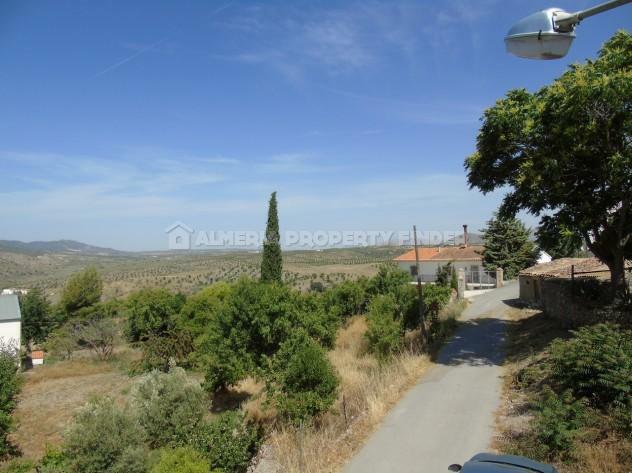 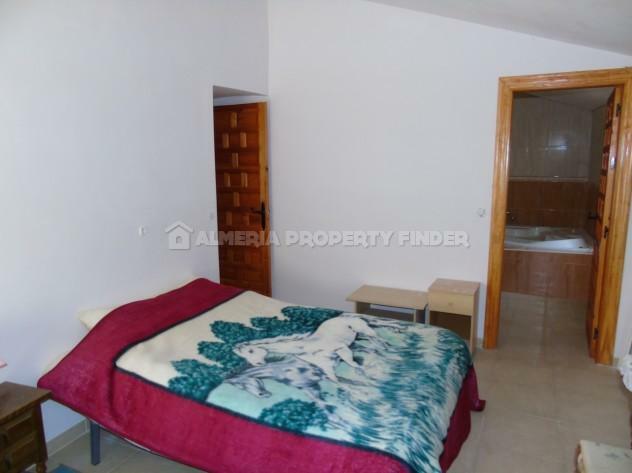 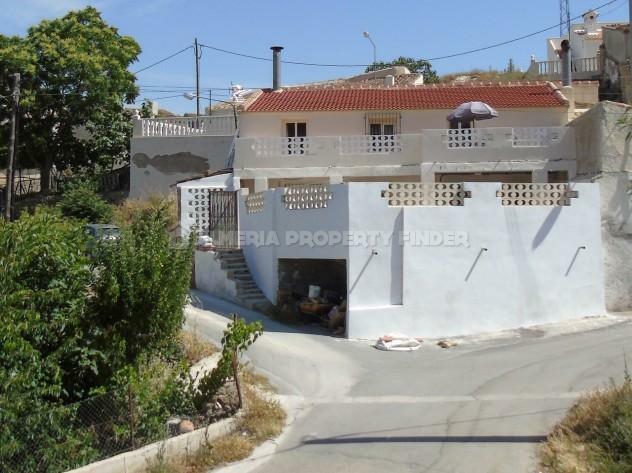 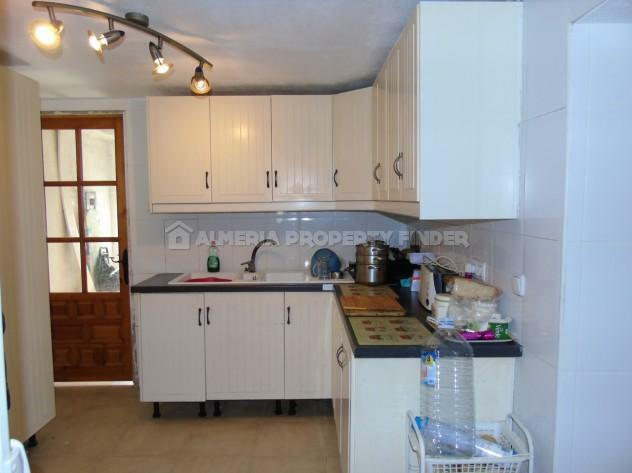 Renovated 4 bedroom village house for sale in Almeria, situated in the sleepy hamlet of El Margen, only 3km from a village with several bars / restaurants. 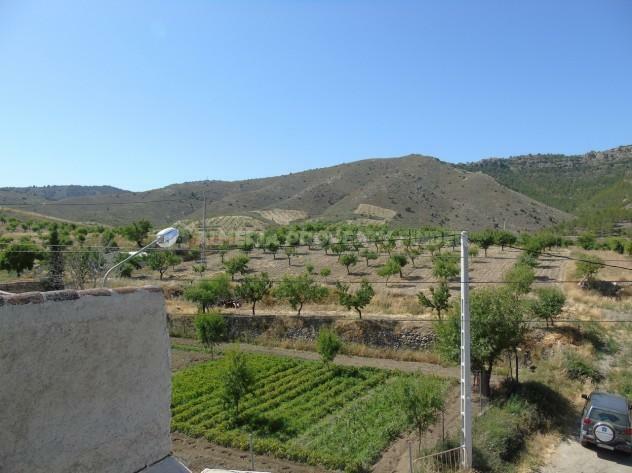 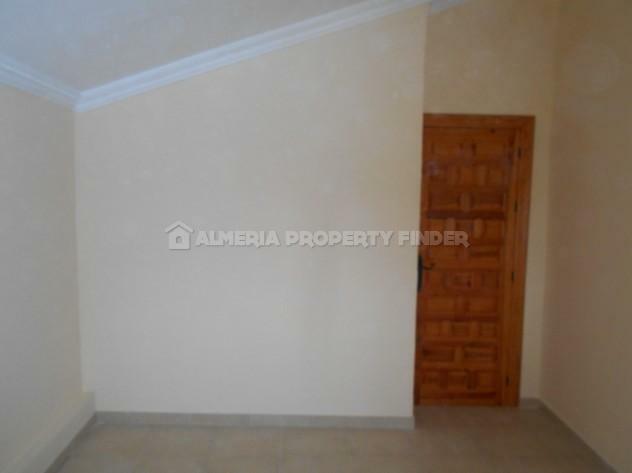 El Margen is situated around 15 minutes drive from the towns of Oria and Chirivel which offer all amenities. 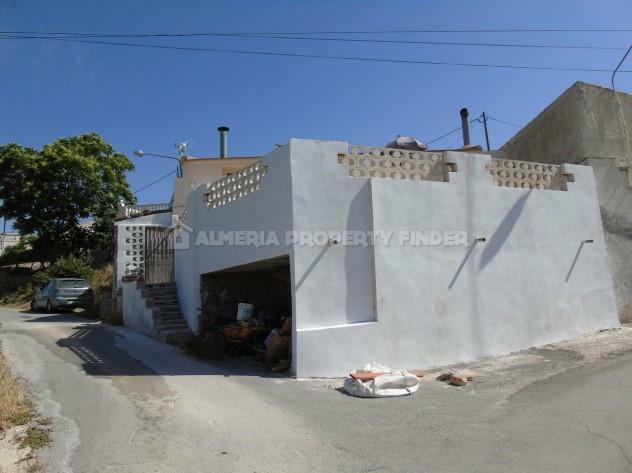 From the street, steps lead up to a walled courtyard with a covered porch offering a lovely shaded area for alfresco dining. 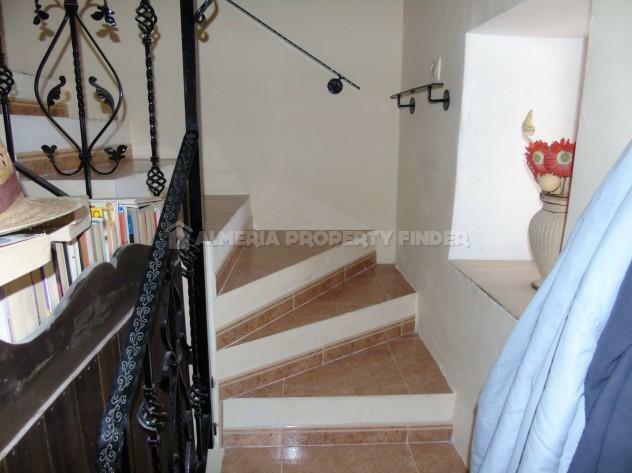 The front door opens into a spacious lounge with corner fireplace and stairs to the first floor. 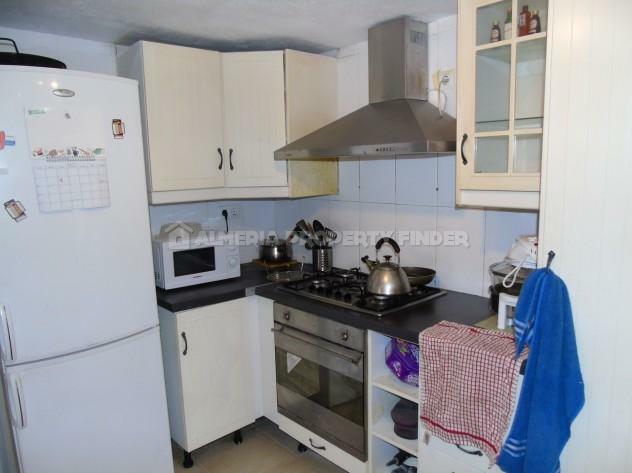 From the lounge a short passageway leads through to the kitchen which is fitted with a range of white wall & base units, 5 ring gas hob and gas oven. 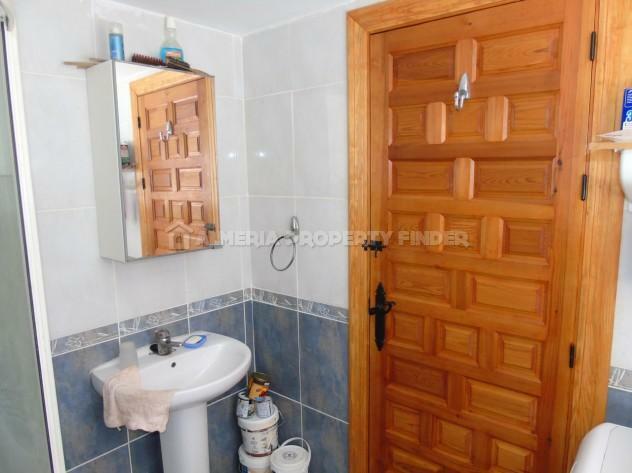 A door from the kitchen leads into a large dining room, and a hallway leading off the kitchen gives access to a shower room with glazed corner shower cubicle, WC and pedestal basin. 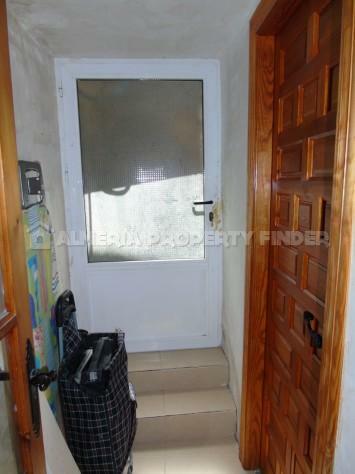 The hallway also has a door leading out to a walled garden area. 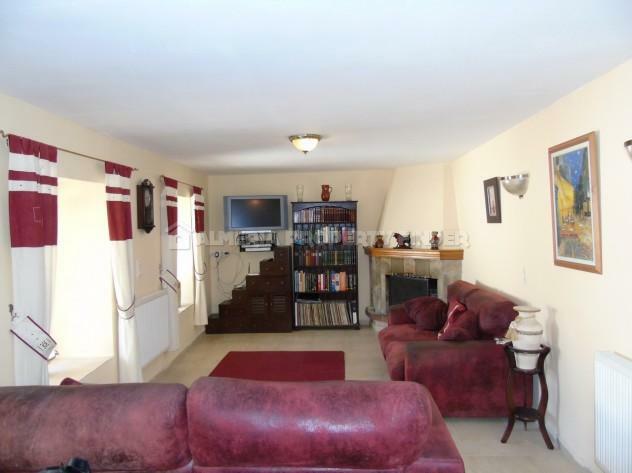 The first floor comprises four double bedrooms, and the two bedrooms to the front of the house benefit from access to a large balcony terrace with fabulous views over the surrounding countryside. 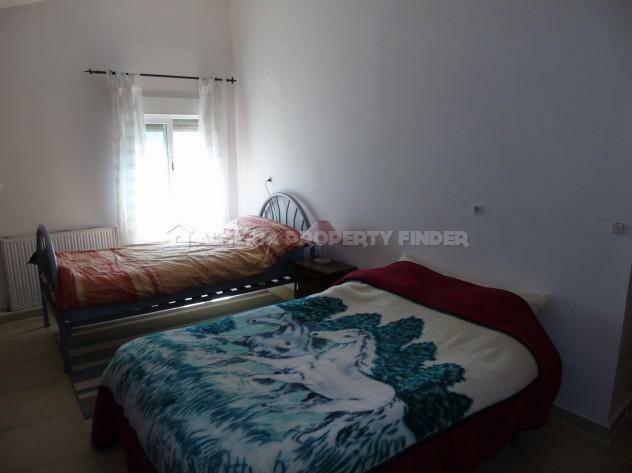 The bedrooms share a Jack & Jill style bathroom which has two doors, one leading into the hallway and the other directly into one of the bedrooms. 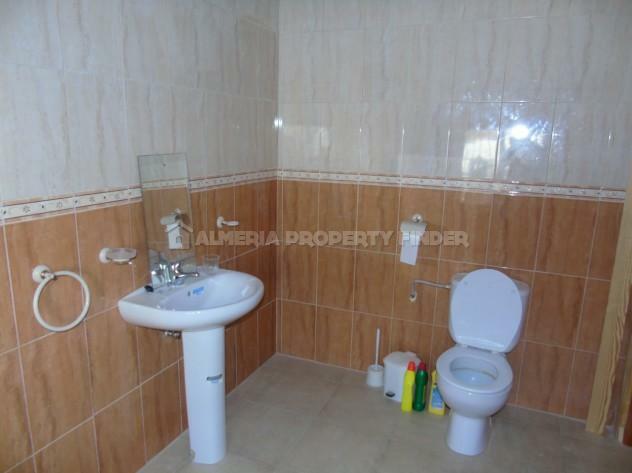 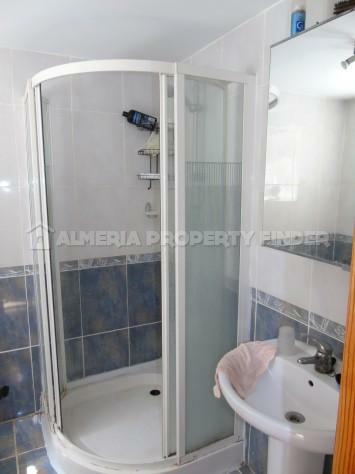 The bathroom comprises a large corner bath tub, WC and pedestal basin. 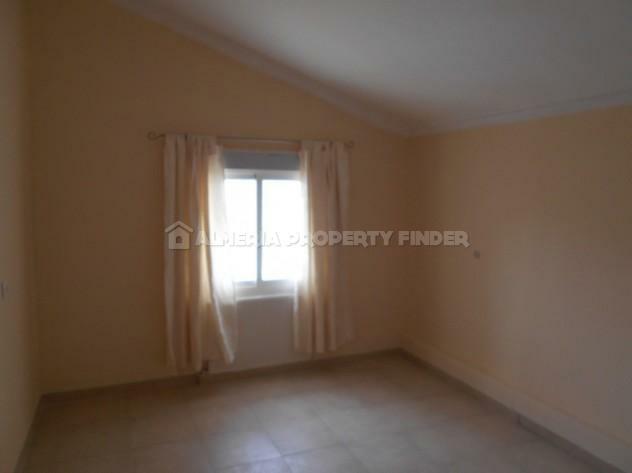 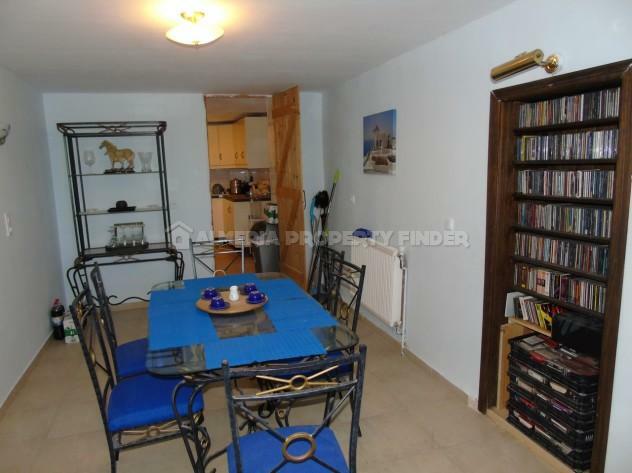 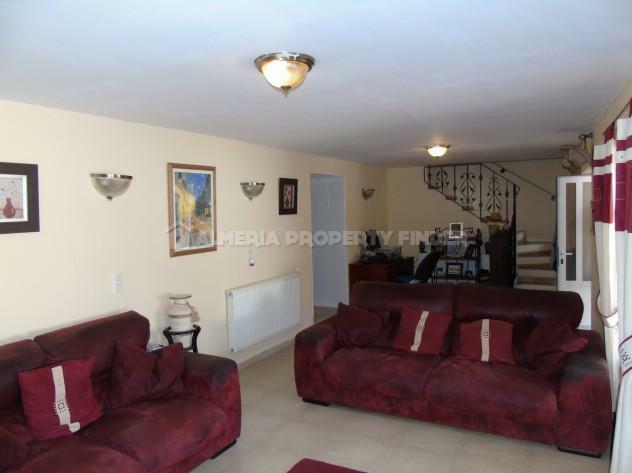 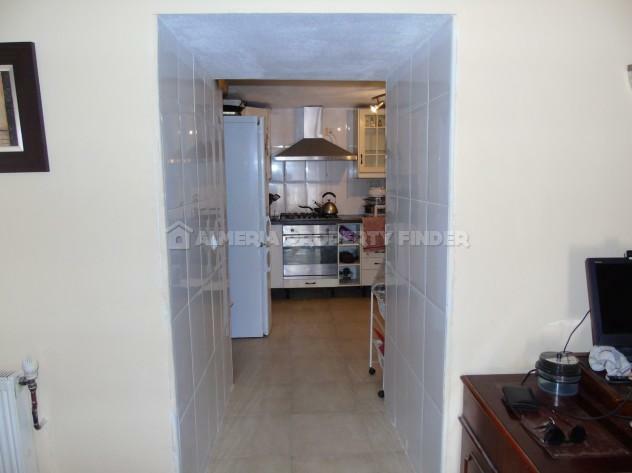 The property benefits from gas central heating throughout, with a total of 12 radiators. 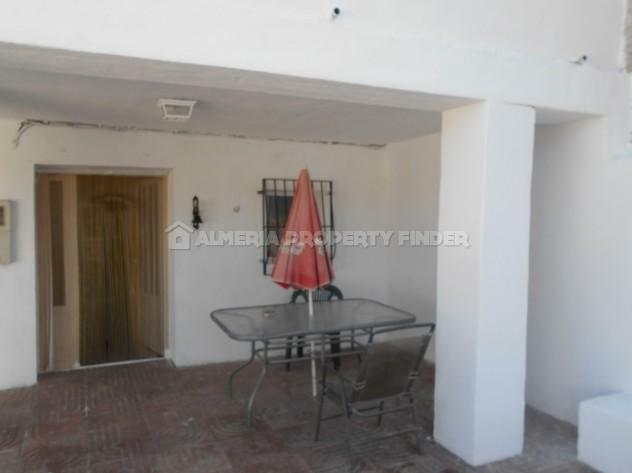 Beneath the front patio is an open storage area, and on-street parking is possible outside the property.